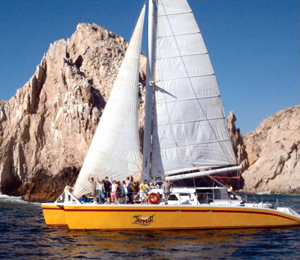 The areas of Cabo San Lucas have fascinated travelers for some time. More and more people are visiting the small areas in and around Cabo because of all that they have to offer. The name Cabo San Lucas is associated with luxury. From the beautiful beaches with the white sand to the large abundance of activities on water and land, Cabo San Lucas carries thoughts of family fun and new adventures. Fly high in the sky while suspended in the air on a secure and safe cable. 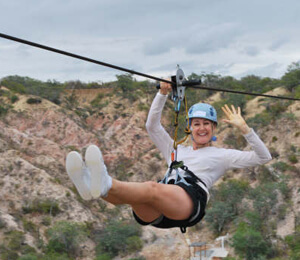 You can go on the Costa Azul cable ride and explore the Costa Azul Canyon. You will go across the river and along the numerous trails in this amazing tour by air. 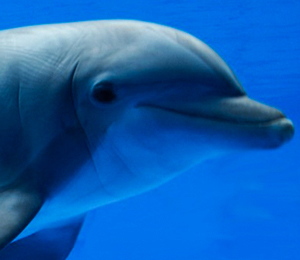 Go on a unique swimming adventure with the dolphins. When you travel down to Cabo San Lucas, Mexico, you can play, kiss, hug, pet, and interact with a majestic, Pacific Bottlenose dolphin. 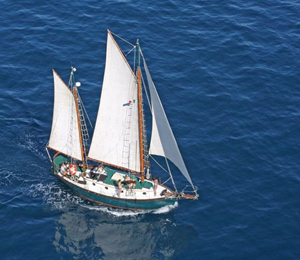 You will not want to miss this tour during your next trip. 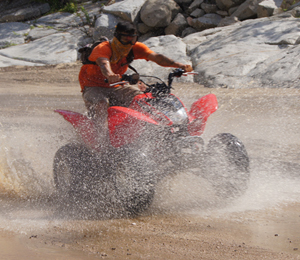 The Real Baja Tour is the ultimate ATV tour, bringing the best of all our Cabo ATV tours into one unforgettable package! Visit the gorgeous Migrino Beach and the rural Candelaria Village as you speed through rugged mountains, canyons, and river beds! The Real Baja ATV pacakage is one of the best ways to immerse your self in the history, culture, and nature of the Baja peninsula. 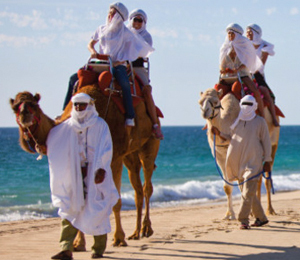 Experience this exciting eco-adventure that combines off-road vehicles and a unique beach-side Camel ride along the Pacific coast. You won't want to miss this. There is no better way to enjoy a fine, elegant evening than aboard a luxurious sailing catamaran. 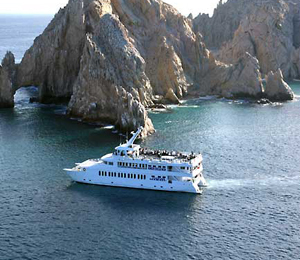 The Wine and Jazz Catamaran tour is by far the most fancy cruise available in all of Cabo! There is an international bar, where you will be provided all sorts of delicious juices and drinks. Surfing is one of the most thrilling adventures in the world. It's like floating on top of water! If you dream of this experience, the Outfitters Costa Azul Surfing tour is suitable for you. The Sea of Cortez on one of the most beautiful bodies of water in all of Cabo. It has a turquoise tint that can be spotted from miles away. Have you ever dreamed of swimming with sharks? Have you ever wondered what it is like to interact with them underwater? Many people are afraid of these aquatic creatures because they do not realize that most sharks are actually friendly, even gentle creatures. 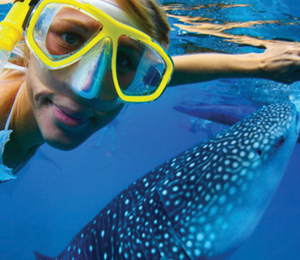 The Whale Shark Encounter & Snorkel tour will show you just how loveable these underwater animals can be!